Hey everyone! I hope that you are all enjoying your Monday. I spent the weekend doing some remodeling on my bathroom. It turns out that I like working on cars much much more than I like working on the house. Okay enough about houses, let’s talk oil changes. This is another installment in the “Does my car need this service” series. That is where we take a commonly recommended service, and drive in to see if you really need it. This week we are talking about oil changes. We have talked before about “What exactly an oil change is“. Today we will talk about WHY! Why would it need to be changed? This is the obvious one. It lubricates by keeping metal riding on a thin film. That prevents metal parts from touching. If metal parts actually touched, they would seize pretty quick. Oil pulls heat away from the moving parts of the engine. That is why most cars have an oil cooler. It also reduces friction, that keeps parts cooler. 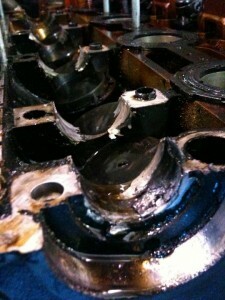 Engine oil is responsible for moving debris from the engine crank case and oil galleys. It is also built with detergent packs to keep those moving parts clean. This is one area that car separate cheap oil from the good stuff. The longer the oil is in your engine, the less it will do it’s 3 main jobs. Oil, will break down over time and lose it lubricating properties. As it loses it’s lubricating properties, it will not cool as effectively or clean like it should. Using a good quality oil filter will help keep your oil clean. I recommend changing the filter when you change the oil. I use manufacturer oil filters in all my cars. If you choose an aftermarket filter, be sure it is the right size. The 1.8t Passat is a great example. VW switched to a big oil filter in 2005. I still see them come in with the smaller filters. They fit just fine, but it is not the proper filter. Checking the condition is a little trickier. I check it by dabbing a little oil from the dipstick on to a piece of paper. Sift through it and check the color, and check for small chunks. The chunks are generally carbon. If you are getting carbon chunks, you not only in need of an oil change, but probably an oil system flush. Carbon chunks are a bad bad thing. Things get a little tougher when you have a TDI. That is is almost always very black. It makes it hard to determine the condition. All that makes a great case for keeping good records. At my dealer, we can look at all the services that a customer has done. We can only see what services were done at my dealer. I have a file in my desk that I keep all my car maintenance records in. How is the fluid replaced? Nothing really fancy here. Just shut off the engine, and pull the plug. It really is that simple. 100% yes! Changing engine oil and filter is one of the most important things you can do for your car. I have replaced more than one engine due to lack of proper oil changes. I have also done tons of engine oil services because people didn’t change the oil in their car. They were not all 1.8t Passats. Make sure that your car is getting the proper engine oil. Follow your owners manual for the proper oil, and the proper replacement interval. This is definitely one of the cheapest, most important services your car needs. Please don’t skip it. 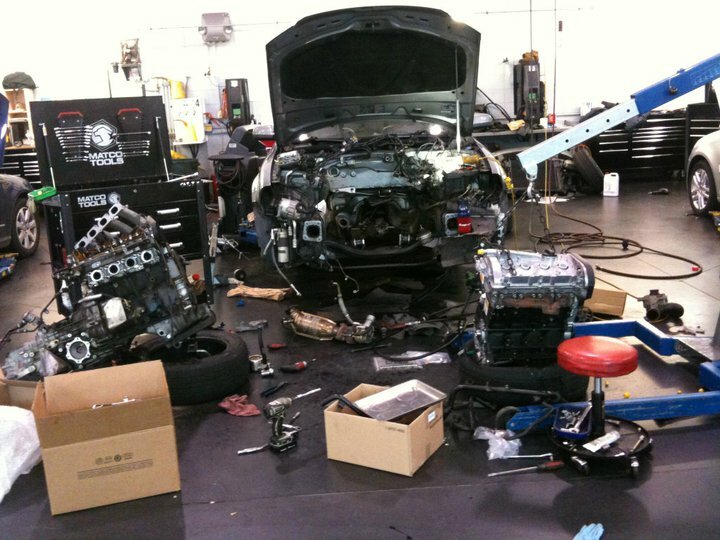 Change your oil, or your car will end up like this! One last thing. I emailed the winner of the Snap-on tray. I have not heard back from them. If I don’t hear back by Wednesday, I will pick another winner. Make sure you all check your email. Be sure to check the spam folder. My email may have gotten filtered. Those are some sad looking bearings in the picture of what happens if you don’t change the oil. I can’t see for sure in the pic, are the bearings even there any more? Yeah, that was one of the worst I have seen. I cam shaft locked. It broke the bolt on the exhaust cam. Weird question. I get the oil changed pretty regularly. Was brought up under every three months, or 3K miles “rule” and have followed that most of my life. My interval in my manual says every 3750 miles. Wife’s car (Mini Cooper) is once a year (it’s synthetic and the cars computer monitors). We get her’s changed as part of the service plan for them, but I still follow my old habits. Other than hurting my pocketbook I know I’m not hurting anything by changing the oil too much, Wondering though..is there any sort of rule of thumb numbers to even bother following anymore? While I am not a mechanic, I follow the recommendations in the owners manual. If the vehicle has an oil life monitor, I would go by that, since it is keeping track of how the vehicle is being driven and adjusting the change interval accordingly. Pat is pretty much right on. Following your owners book is generally the best policy. And since you are only a few hundred miles off, it is no big deal. The extra money is not too much to make you feel better about the car. There are some exceptions to that owners book rules. In very hot, or cold climates, mountains, sandy coastal environments, and if you tow things. Those are considered severe service. If you do most of your driving in those conditions, you will want to shorten your intervals. 99 Passat with 286k on it before I totaled it. When I did the valve cover gaskets motor looked brand new. 5k intervals with full synthetic. If you actually change oil when it meant to be replaced something amazing happens………..the car last a long time and performs properly. Hmmmmm. Who what of thought. I can speak from experience and say your car needs an oil change. I didn’t do this with my first car and it messed up my engine. I was looking for an article that could explain to me in simple terms why do I need an oil change. This helped me with the 3 basic reasons: Lubricant, cools and cleans. Thanks for stopping by and for the comment. I am glad this post helped you out. If you are looking for any other posts like this, please let me know. I own a 2006 VW Jetta with 135,000 miles. 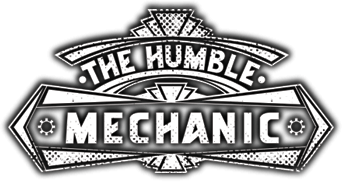 The OM says 10,000 mile oil changes with synthetic oil and extended mileage oil filter. I do not think the oil filters are good enough to go 10,000. So at 5,000 miles I install a new filter and top off the oil. For less than $20, I think this is good insurance. I have been noticing a puddle of fluid under my car, and I am wondering if it is oil. It is good to know that one can check the oil condition in a car. I like what was said about dabbing a little oil from the dipstick on to a piece of paper. I did not know that it was important to check for small chunks. I will also be talking to my mechanic about this during my car’s next auto service. Thanks. It is very crucial to check oil levels at regular intervals in order to keep the car performance at the peak level. Engine oil has a key role in the process of lubrication. It greases the operating components of the vehicle and protects the engine for seizing up by keeping it clean and cool. But the fact is over a certain period of time the engine oil breaks down. The engine makes knocking noise if the oil change is pending. One more fact is, dirty oil can not keep the car engine cool, hence, it may cause the car engine to smell like a burnt fuel while running. So, if anyone notices these symptoms, then he should immediately replace his engine oil in order to restore his vehicle performance. I just got my first car and I want to keep my new car in good shape. It is good to know that I should check the fluids in my car often. It might be smart for me to see when my car needs to get its oil flushed.